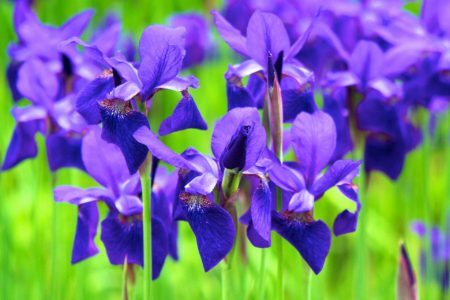 Iris pseudacorus is a fast-growing and rapidly-spreading invasive plant that can out-compete other wetland plants, forming almost impenetrable thickets. It grows to 5 feet tall and has yellow, showy flowers. 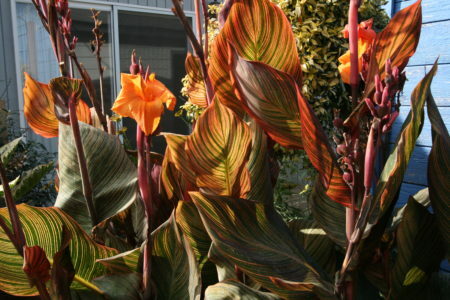 It often blooms from mid-spring to summer and its leaves remain green all year when there are mild winters. When not in seed or flower, it can be confused with cattails (Typha, sp. ), which are more round at the base and taller, or native bur-reeds (Sparganium sp.) that have thicker and spongier leaves. Yellow-flag iris is native to Europe and the Mediterranean region, and was brought as a valued horticultural plant to California by 1957. 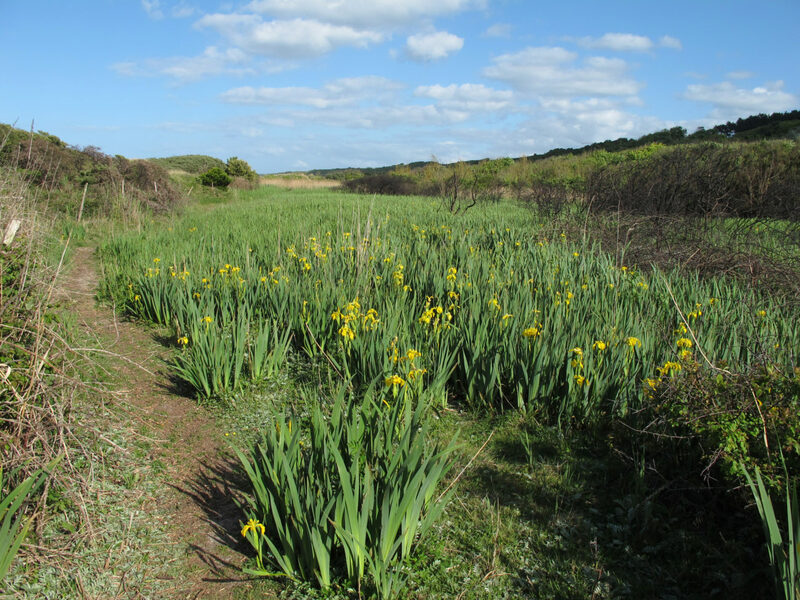 How does yellow flag iris spread? Yellow flag iris reproduces both vegetatively and by seed. It regenerates vegetatively via rhizomes, that fragment and contribute to new plant establishment when plants reach about 10 years of age. Its seeds also float on the water surface in fall and early spring and germinate along shorelines when the water recedes. 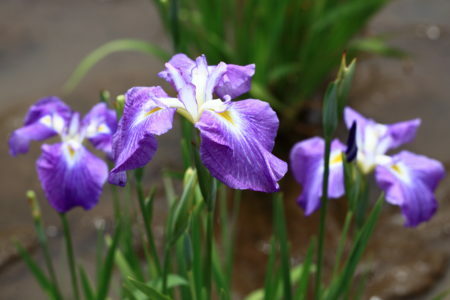 Where is yellow flag iris found? 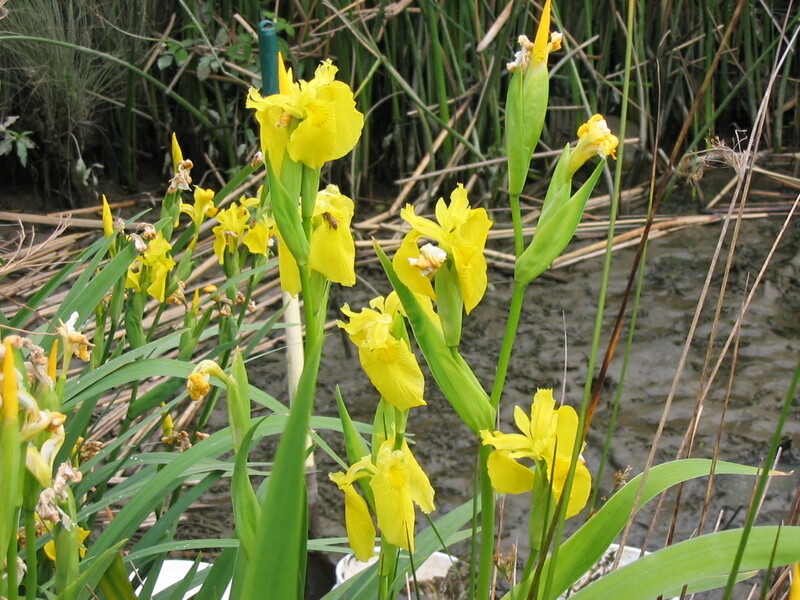 Yellow flag iris is currently found inhabiting moist soils near pond margins, irrigation ditches, and wetland sites in the San Francisco Bay region and southern San Joaquin Valley. It grows up to 100 meters in elevation. 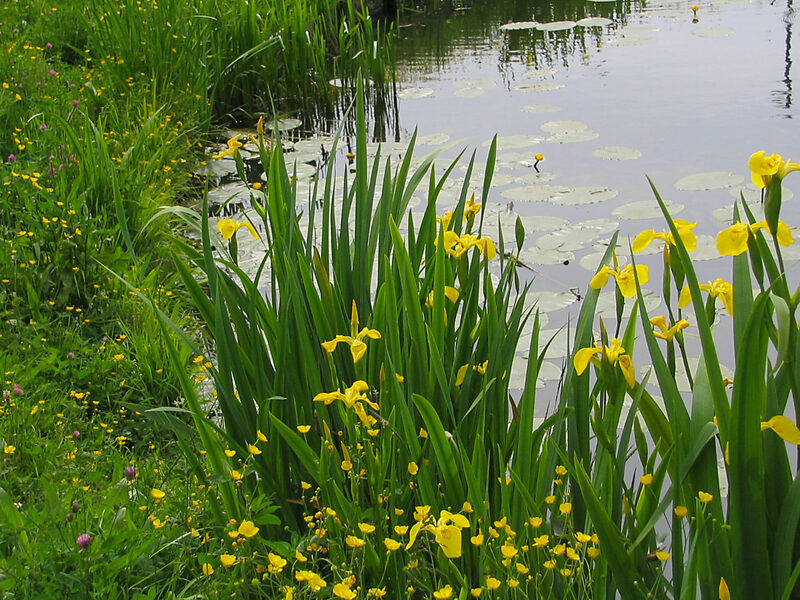 What problems does yellow flag iris cause? 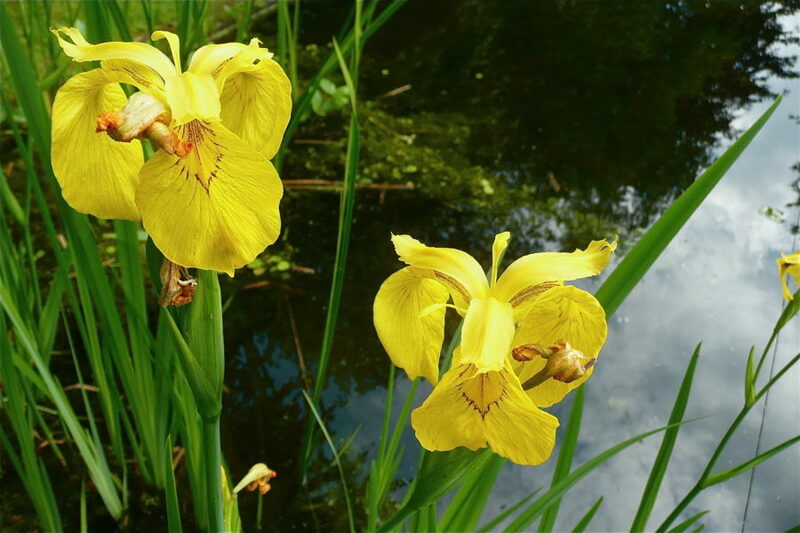 Yellow flag iris displaces native vegetation along streambanks, wetlands, ponds, and shorelines and reduces habitat needed by waterfowl and fish, including several important salmon species. 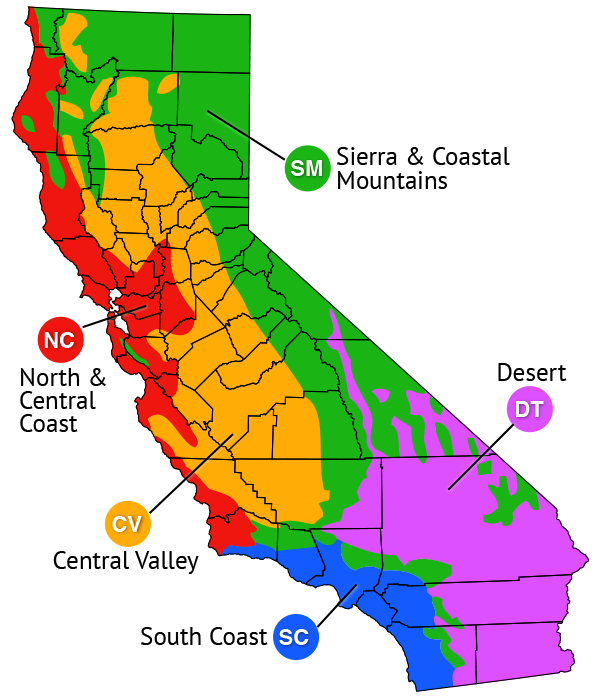 In addition, it clogs small streams and irrigation systems, and it dominates shallow wetlands, wet pastures and ditches. Its seeds also clog up water control structures and pipes. 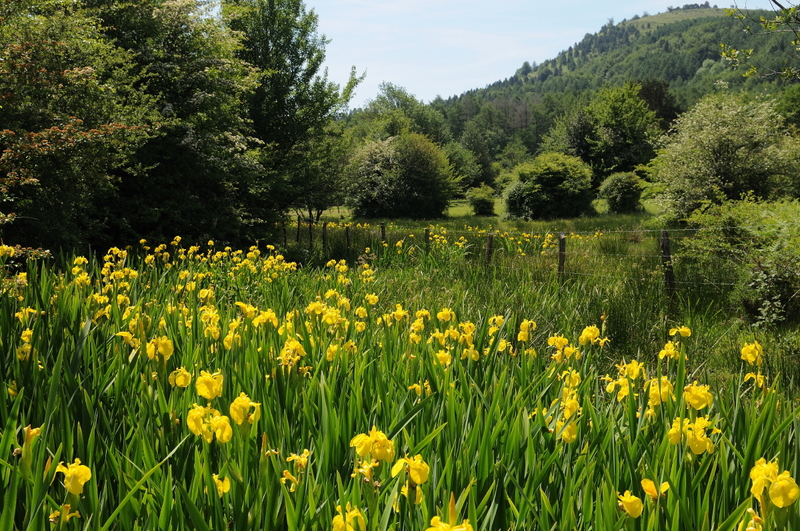 Yellow flag iris is considered poisonous due to large amounts of glycosides found in foliage and rhizomes.